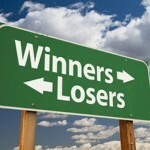 Everyone loves a good ‘how to win the lottery’ story, that offers tips on ways you can strike it rich without trying. Here’s one we bet you hadn’t thought of. Fortune cookies! 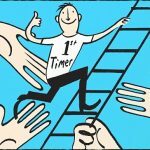 We all know that the odds of winning a huge sum on lottery draws are pretty astronomically high, so many of us want to know if there is any real way we can boost our chances, with no real need to put any extra effort in. Fortune cookies are not actually a real Chinese foodstuff. They were re-imagined by a Japanese businessman who lived and worked in San Francisco back at the turn of the last century. They were made by grilling very thin wafers over coals. When the wafers were half-way through the cooking process, a “fortune” was placed inside of them and folded over. The idea caught on and they were developed to sell in the streets of the USA. However, they’re still not served in China! It’s hard enough to for one person to win the lottery just once, or even for two people to strike it lucky on the same draw – how about a story that involves one hundred and ten winners, who all had their numbers come up on the same lottery draw? Was it real, a fraud, or was it Fortune Cookies? Well, thank goodness for them it was the latter. Thanks to a simple fortune cookie served at an American/Chinese restaurant, these people all got rich! After a thorough investigation into the draw, it was found that there were no irregularities and the lottery officials had to pay the claimants. They found that those lucky winners had all played the following numbers 22, 28, 32, 33 and 39. They had all recently received these from a fortune cookie made by Wonton Food Inc. Of course, not everyone will play numbers that are suggested to them, but in this case, it seems that a larger number than usual did…it was all bona fide and above board and a lot of people were very lucky that day. 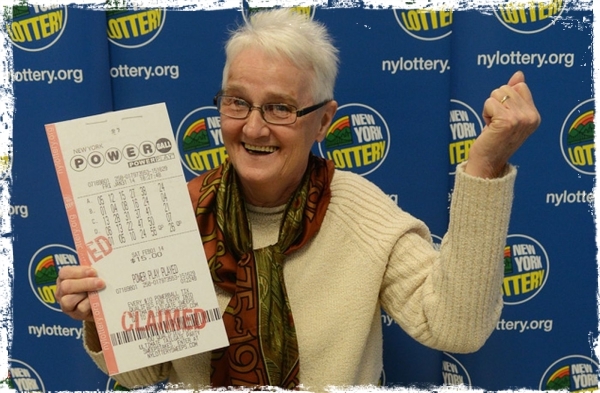 When Emma Duvoll, a seventy-five-year-old Grandmother from the Bronx decided to play the numbers that came up in her fortune cookie, she didn’t expect to win anything…but that’s exactly what did happen. In fact, the lucky pensioner won $2 million! She’d previously always tried the tack of using special dates and anniversaries to win but had never had any luck at all. In the end, her luck came when she and her sons grabbed Chinese take-out before heading on to a family get-together. She kept the slip in her fortune cookie and went on to play the numbers at a Hannaford’s grocery store. She played 5, 12, 15, 27 and 38, but missed out on the Powerball, 7. She won $1 million but because she’d opted for the Power Play option, her payout went up to $2 million. Duvoll is originally from Switzerland and moved to the USA with her husband Dwight, who is now eighty-six. They owned and ran a delicatessen in the Bronx and brought up their two boys in an apartment in Fordham. She says that the big win will not alter their life. Saying that she and her family are very content the way they are and that they’re more likely to put the money into investments and savings than to squander it. She says she will try and get home to Switzerland to visit her siblings, however. The people who work at the Chinese Take Out where the fortune cookie was given as part of the meal were delighted with the news and said that from now on they’ll play fortune cookie numbers on Lotto games. Hannaford’s store reps are also similarly pleased that such a lovely lady had a good win on the lottery. “She’s a really nice lady and I’m very happy to hear she won,” said Debby, one of the workers from the store. Richard Davis was a really lucky lottery winner when he picked up a massive $10 million jackpot in his home state of Florida. What shocked those who heard his story was firstly that he was only an occasional player, and that secondly, the huge win came from a fortune cookie. 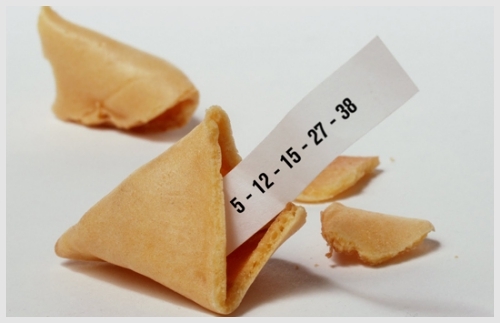 Davis said that he used the same five sets of numbers, these were based on one for each time he visited an eatery in North Carolina that served fortune cookies. On 22nd August he played the numbers 26, 39, 16, 29, 46 and 45 on the Florida Lotto game – and when the draw was made, discovered he’d won! “I checked and rechecked the ticket several times over the next few days,” Davis said in a statement. He claimed a lump sum payment of more than $7 million Tuesday at Lottery headquarters in Tallahassee. The grocery store where he made his purchase, automatically nets $50,000 for selling the ticket – however, the restaurant that gave away the fortune cookie, unfortunately, won’t see anything. Since his win, Mr. Davis has declined to comment any further or give any interviews on his lucky lottery break. 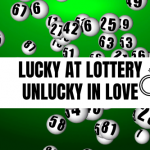 Ronnie Martin of Long Pond, Pennsylvania discovered that lucky numbers never run out of luck when he decided to put on a lottery ticket using numbers from a fortune cookie he’d kept safe for a good few years! It did turn out to be a wise move, and on the night of the draw, he found out he’d won $1 million. 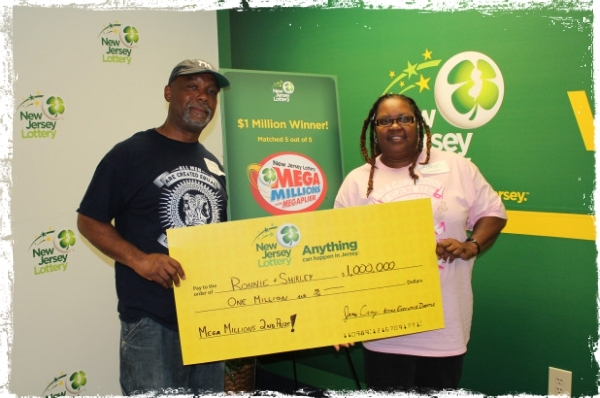 The lucky winner had stopped at a gas station in New Jersey on one of his daily drives to the state for work. Whilst there he decided to buy three lottery tickets one night in July. He decided to play the same numbers from the fortune cookie he’d been keeping safe because he liked them and felt safe playing them. It was only when he scanned the tickets into the machine the next day he got the shock of his life when he was told to ‘see clerk’. The operator that day said he must have won a lot of money! However, Mr. Martin thought the clerk was having a joke with him – it was only when the clerk showed the display to him after scanning the ticket that the penny finally dropped and he realized he’d won a tremendous amount of money. Mr. Martin and his wife, Shirley have now decided they’ll use the money to pay off some bills and make sure they invest the rest in savings for their future. It just so happens that New Jersey seems to be a hotbed of winners with unlikely stories. At the start of this year, it seems a woman who had purchased a ticket by accident, ended up winning $5 million, whilst another in the state won a quarter of a million dollars simply by playing slots on her smartphone at work. These people and these amazing stories have shown that it might not be such a silly idea to play the numbers you get in your fortune cookies at Chinese restaurants and takeaways. It’s definitely another avenue that is worth exploring if you’re looking to try new numbers and don’t have a clue where to start! Who knows, it could be the key to you winning a huge fortune! 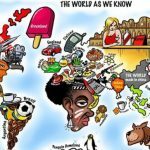 Lottery Winners in the World of Lottery, But Losers in Real Life!